Riley was found on the streets of Pawtucket, Rhode Island, having just delivered a litter of puppies. 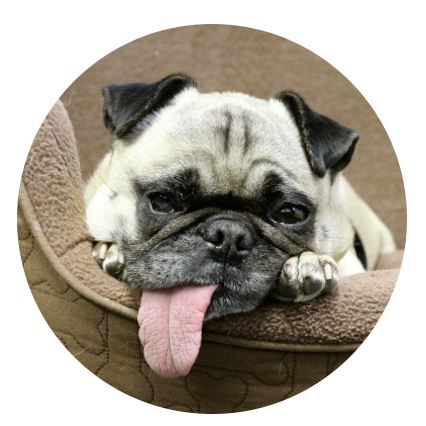 She was not your typical pug: she’s blind in one eye, the right side of her face is a little smushed and is missing teeth, and her tongue permanently hangs out, collecting both edible and non-edible items from whatever floor it happens to be dragging across. Fortunately for Riley, she was rescued by her human, Ella, not only becoming Ella’s baby, but also becoming a "grand-dog" to our CEO Bill Rouhana and our Publisher Amy Newmark. Since Ella and Riley found each other, Riley’s life just keeps getting better! Not only does she have an awesome forever home with humans who love her, she also has a dog brother, Kineo, an Australian cattle dog. Riley hikes in the mountains of New Hampshire, quite active and fit for a pug, but her preferred "activity" is still sleeping in her human's lap. 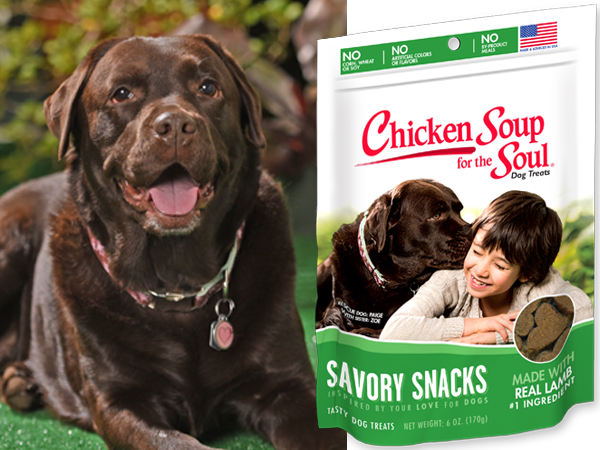 Riley loves her Chicken Soup for the Soul Adult Formula Dog Food. 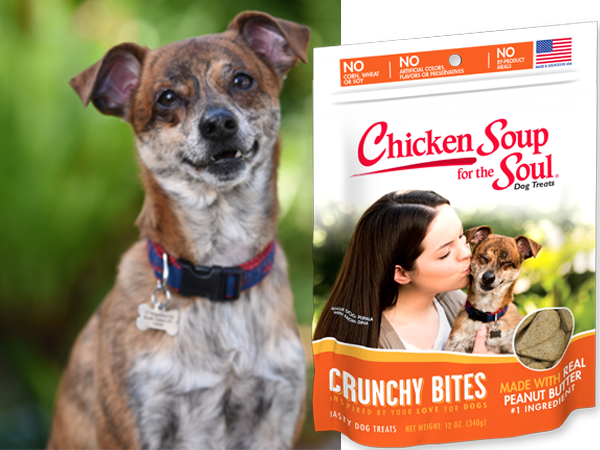 We publish books about pets and produce a line of high quality dog and cat food because we understand the special bond between people and animals. We also know that some of the most meaningful owner-pet relationships begin with adoptions from shelters, which is why we've partnered with animal shelters to support their mission to help find cats and dogs their forever homes. Meet the dogs and cats behind the bags!